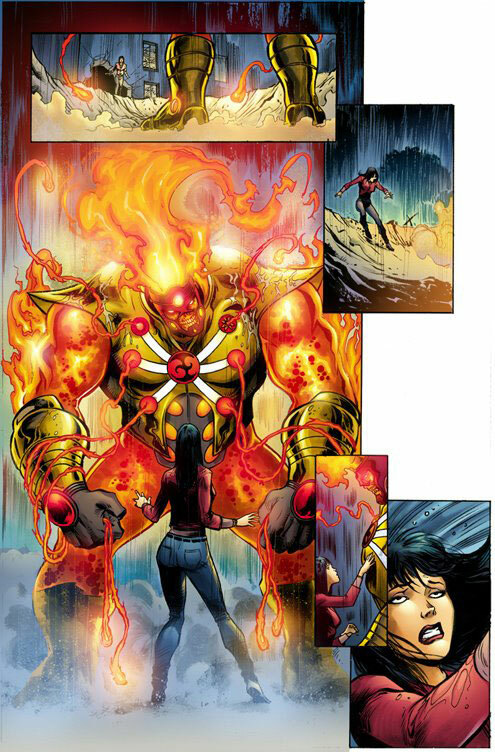 Looking forward to FIRESTORM #2 tomorrow! Yesterday artist Yildiray Cinar posted a super-cool new teaser image promoting issue #2! This image is similar to the teaser images released prior to issue #1. Who is featured in this teaser? Possibly the new villain Helix? Click the image below to enlarge. 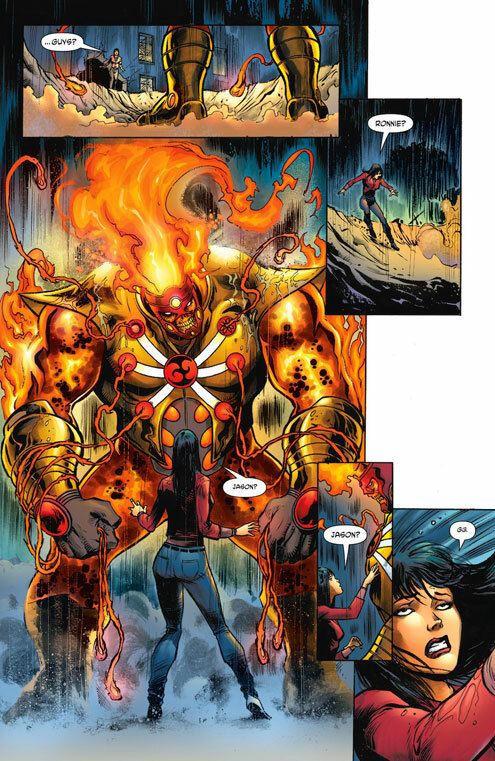 Colorist Steve Buccellato and artist Yildiray Cinar have both indicated there was a printing problem with The Fury of Firestorm: The Nuclear Man #2. 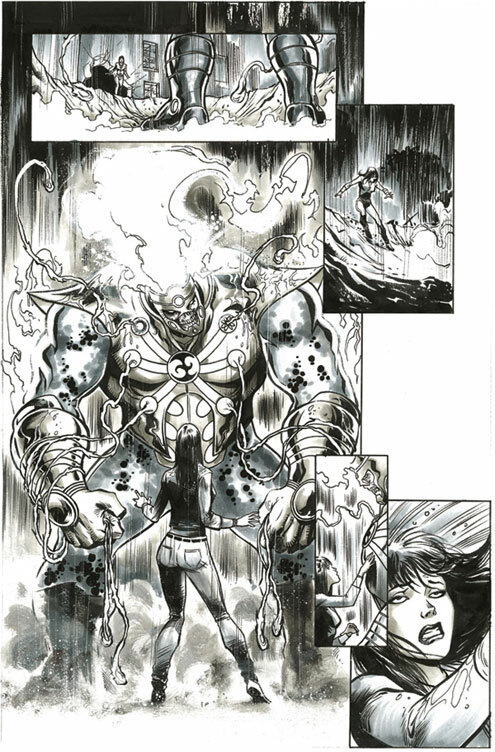 Buccellato posted a few pages to Facebook showing, “what they were SUPPOSED to look like.” Cinar indicated we’d see the problem when the issue is released. Below I’ve posted three different versions of the first page from issue #2. Right away I notice the colors are much more muted in the third page below. I’m not sure if that is the printing problem or not, but it’s worth noting. Again, if you compare the second and third image, you’ll see a dramatic difference in the coloring. I’ll guess we’ll have a better understanding of the printing problem tomorrow. Not too much longer now! Can’t wait for tomorrow! Posted in: Ethan Van Sciver, Firestorm #09: New 52 v1 (Firestorm Protocols), Firestorm comic vol. IV, Fury, Gail Simone, Yildiray Cinar. “Problems” like these bring up an interesting question: Will the “same day digital” versions of these books retain the same errors as plague the physical copies, or will DC make the corrections for the digital versions? i personally think the final page is the better of the three…just me? I agree Brandon, I think the third page is the sharpest looking one as well. I tend to doubt that this is the “printing error” we heard about. Yildiray seemed pretty bummed out about the error which makes me think it will somewhat more noticeable/significant than this. after reading the issue, you can really tell the problem. I think it was low on ink or something everything looks dull, but i can still appreciate the art regardless!